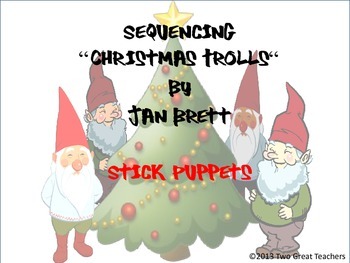 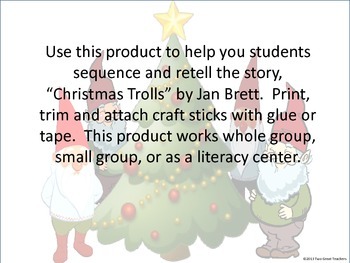 Use this product to help you students sequence and retell the story, “Christmas Trolls” by Jan Brett. 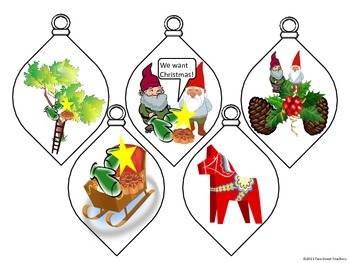 Print, trim and attach craft sticks with glue or tape. 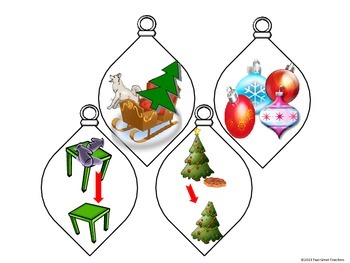 This product works whole group, small group, or as a literacy center.